Dr. Mohanty's research focuses on transport of simple and complex fluids in complex microstructured materials for applications in energy, environment and biotechnology. In particular, his research team works on Alkaline-Surfactant-Polymer Flooding, Gas EOR, Nanoparticles for EOR, Heavy Oils, Wettability Alteration, and Fractured Reservoirs. 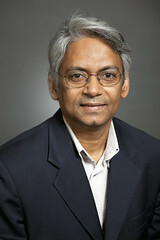 He is a member of the SPE R&D Committee. AIME/SPE Anthony F. Lucas Technical Leadership Gold Medal, 2013. Certificate of Appreciation, American Chemical Society Publications, 2011. Pioneer Award, SPE Improved Oil Recovery Symposium, 2008. Distinguished Member Award, Society of Petroleum Engineers, 2007. Peer Apart: Top Technical Reviewers Award, Society of Petroleum Engineers, 2007. Outstanding Review Chair, SPE Journal Editorial Board, 2006. W. T. Kittinger Outstanding Teacher Award, Cullen College of Engineering, 2004-2005. Sigma Xi Faculty Research Award, University of Houston, 2004. Senior Faculty Research Award, Cullen College of Engineering, 2003-2004. Outstanding Teacher Award, Cullen College of Engineering, 2003-2004. Chemical Weekly’s Padmashri Dr. G. P. Kane Chemcon Distinguished Speaker Award, Indian Institute of Chemical Engineers, 2003. ARCO Exceptional Contribution Award, 1984. Singh, R. & Mohanty, K. K., “Foams Stabilized by In-Situ Surface-Activated Nanoparticles in Bulk and Porous Media,” SPE 170942-PA, SPE J., (2015). DOI: 10.2118/170942-PA.
Gu, M., Dao, E., and Mohanty, K.K., “Investigation of Ultra-Light Weight Proppant Application in Shale Fracturing,” Fuel, 150, 191-201 (2015). DOI: 10.1016/j.fuel.2015.02.019. Lee, D., Cho, H., Kwon, J., Lee, J., Huh, Chun H., Mohanty, K. K., “Fly Ash Nanoparticles as a CO2 Foam Stabilizer,” Powder Technology, in press (2015). Lu, J., Goudarzi, A., Chen, P., Kim, D.H., Delshad, M., Mohanty, K.K., Sepehrnoori, K., Weerasooriya, U.P., Pope, G.A., “Enhanced Oil Recovery from High-Temperature, High-Salinity Naturally Fractured Carbonate Reservoirs by Surfactant Flood,” J. Pet. Sci. & Engg., in print (2015). Chen, C., Balhoff, M. & Mohanty, K. K., “Effect of Reservoir Heterogeneity on Primary Recovery and CO2 Huff-n-Puff Recovery in Shale Oil Reservoirs,” SPE Reservoir Evaluation & Engineering, Volume 17, Issue 03, pages 404-413, August 2014, doi:10.2118/164553-PA.
Wang, L. & Mohanty, K. K., “Enhanced Oil Recovery in Gas-Flooded, Carbonate Reservoirs by Wettability –Altering Surfactants,” SPE 164126, SPE Journal, 20, Feb. 2014.DOI: 10.2118/166283-PA.